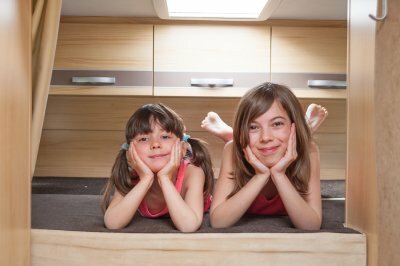 Kids and Camping – Take This List Along and Create Some Fun! After a full day of traveling, your kids are bound to be in search for some fun when you finally stop for the night. You’re not alone when you start thinking about what to do after you get hooked up. You can bet the kids are thinking the same thing. Corn Hole Contest – You can buy these game sets out of a variety of materials, but some of you handyman types may want to make your own. This Old House provides easy DIY instructions for building your own corn hole set & fun ways to personalize it. All ages can play. Watermelon Seed Spitting Contest – If your kids like watermelon, they’ll love gathering the seeds and spitting them as far as they can. You get the watermelon, you set the rules, and get ready for some laughs! Rock Painting – Let the kids take a walk in search of smooth rocks (big enough to paint or write on) while you get out the markers and/or paints. Have the kids wash the rocks in a bucket outside and dry them. Everyone can enjoy this activity, they make clever gifts for friends or family! Balloon Challenge – All you’ll need is a blown-up balloon (bring a bag of extras for when they pop). The challenge is to keep the balloon from hitting the ground. It can be played with two or more people. Hit the balloon from person to person, counting the number of hits until it touches the ground. Eye Spy Scavenger Hunt – A little competition and just plain fun, there are many ways to play this game. One of our favorites is from The Joys of Boys site, called Eye Spy Nature. Click HERE to link to their free printable list, or better yet, make your own. The items on your list should vary depending on the ages of your kids. Glow-in-the-Dark Ring Toss – For less than $10 you can find this night-time game at most Walmarts and it will provide hours of fun for the whole family. Build a Campfire – Everyone should learn to build a campfire, and all the safety tips too. Be sure to check first if campfires are allowed at your campsite. You’ll need tinder, kindling and firewood which you should be able to find in your surroundings. Don’t forget to brush up on your campfire songs. Make S’mores – Once you have a nice fire burning, get the kids to find a few 2-3′ sticks. One of the older kids or an adult can whittle one end of each into a point for the marshmallows. Your camping s’mores kit should include graham crackers, chocolate & marshmallows in one gallon baggy. Mmmm good! Flashlight Tag – This is the classic game of hide and seek, but played with flashlights. Fun Campfire Recipes – Your family will never tire of the kid friendly camping recipes that we found on the Dating Divas website. The meals are nutritious and super fun to put together. Let your kids pick the meal and do the cooking. Tin Can Lanterns – Don’t throw away all those tin soup cans, wash them out, file down any sharp edges and put them in a craft bin/bag with a couple permanent markers, a small hammer, a couple of nails, and some tea lights or votive candles. The kids can make a design with dots on the outside of their can and then take the nail and place it on the dots and lightly hammer the nail until it makes a hole in the tin. Once it’s dark, light a candle inside and they’ll be delighted with their handiwork. The lanterns will add ambiance to any campsite. Wiffle Ball – The game has been around for decades and is the perfect outlet for pent-up energy. The bat is light enough for kids of all ages and the perforated plastic ball keeps players safe. Play in a field, shallow water or on pavement. Remember to yell WIFF whenever someone swings and misses. Round Robbin Storytelling – A round robin story is one that each person adds to. It’s most common to create a story sentence-by-sentence, going around in a circle. This is a fun way to end a day while sitting around the campfire. Map Making – Understanding what a map is, and how to read one is a great skill for kids of all ages. The area surrounding your campsite is a perfect spot for your kids to try and make their own map. You can talk about landmarks and teach them about directions. All they’ll need is some some paper, pencils and crayons. Arts & Crafts – Just like at home, it’s a good idea to pack a bin of arts & crafts when you travel. Some of the items that can be used to make a variety of crafts include string, beads, popsicle sticks, markers, glue, scissors, pipe cleaners, feathers, colored paper, pom poms, ribbon, sequins, shells and whatever else you want to include. Add to these items things the kids can pick up around your camp site like leaves and twigs and let their creativity run wild. Plan your next family vacation at Stonebridge RV Park and use this list to help pack and your kids will undoubtedly make lots of memories! Try It Before You Buy It – Renting is the Way To Go! Try it before you buy it…there is no better way! Have you ever bought something and realized soon after that you wish you would have bought a different model? A different size? A different color? When it’s something small it’s not that big of a deal, but when you’re spending big bucks, it’s a huge deal. Buying an RV or trailer is one of those big things that you absolutely want to try it out before committing to the purchase. Being able to really check it out takes some time, and that’s why we LOVE the idea of renting out RVs and trailers. There are so many choices when it comes to RVs and all the models, amenities and options. Unless you’re an RV guru, it’s literally impossible to make an informed decision. Which RV or trailer to buy requires some serious consumer research. NADA Guides lists over 2,000 RV manufacturers. Each manufacturer typically makes multiple models and within each model there are multiple sizes, all with varying options and amenities. The decisions and choices are endless. Type A Motorhomes, Sport Utility Trailers, Travel Trailers, Type B Motorhomes, Folding Camper Trailers, Type C Motorhomes and Fifth Wheel Travel Trailers are all sold by recreational vehicle dealers. Prices range from $10,000 to well into the millions, and everything in between. No matter your budget, you can find an RV that fits your wants and needs. If you’ve decided to try RVing, chances are you’ve seen RV parks where you live, where you’ve traveled, or where you want to travel. If you’ve gotten a little more serious about getting an RV, maybe you’ve stopped by Camping World , RV Station , or one of the hundreds of other crazy-big RV dealerships throughout the US and already started shopping. So many people get to this point and begin to get overwhelmed by all the choices and end up taking a step back. But there is a better way! Login to Easy RV and scroll through the listings near you and rent an RV or trailer first. Try it before you buy it! One of the many reasons Easy RV was established is to assist consumers in the try it before you buy it strategy. Renting an RV let’s you experience all aspects of the RV over a period of time. Spend the night in the great outdoors with your family. Tow it to the beach and enjoy sitting under the awning. Whip up some lunch while you listen to the waves roll in. Head to the mountains and leave all your worries behind. Renting gives you time to check out all the gadgets and how everything operates. Is the space to big? Too small? Can you fit in the bathroom? Is it easy to drive? Is there enough storage space? Can your vehicle tow it safely? Do you want more features and options or do you prefer just the basics? Renting allows you the freedom to try before you buy without diving right into a major, long-term financial commitment. There are many obvious reasons why renting is a good first step before buying. Stonebridge RV Park partners with Easy RV allows you to scroll through hundreds of listings & photos, communicate with RV owners, and check out how much money YOU can make on the side by renting your RV once you’ve settled in and made that purchase! You’ve made the exciting decision to rent an RV, so now what?!! You’re about to join millions of others who are stepping away from the traditional hotel and houses to embark on accommodations that are way more fun and more adventurous. There are many reasons for renting an RV, the most popular…a family vacation. These tips will get you off to a great start for creating memories that will last a lifetime. Have a destination in mind. Explore any restrictions that may be in place. Reserve a rental site with full hook-ups (fresh water, electricity, and sewer). Without hook-ups, you’ll be operating off the grid , and unless you’re an experienced RVer, it’s not advised. Plan your route, including stops for fuel. Book your rental well in advance so you can find the perfect RV that fits your wants and needs. 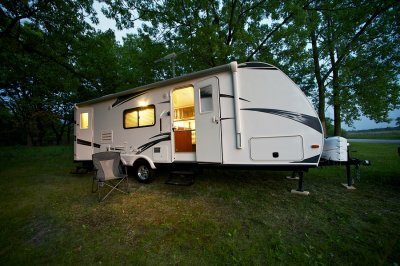 Ensure you, or the owner, has reliable RV rental insurance. Take time with the owner to learn all features, systems and operations of the RV, internal and external. Know all the fees involved (mileage fee, generator fee, dumping fee, cleaning fee, pet fee, etc.) and don’t hesitate to bargain for unlimited mileage or free generator use. Do keep in mind, owners have many expenses to upkeep their RVs. Last, and most important, take your time, vow to laugh, relax, and enjoy your adventure! Do you have an RV rental story to tell? Share it here!